Through the past decade, marketing has had to keep up and contend with leaps in technology. We witnessed the revolution of the telephone call, which followed the development of mobile marketing that swiftly gained a lot of traction. Seeking inspiration mainstream media, along came digital media marketing as the biggest change since the invention of the computer. Moreover, going digital inspired businesses to embrace the virtual world, as nothing remained the same ever since! In the modern context of social media marketing for businesses, their online presence focuses heavily on customers and their satisfaction. This modern approach allows us to think of social networks in terms of a place where brands interact directly with their users. We witnessed the major commercialization of search engines not so long ago. Meanwhile, marketing communication went from email correspondence to social media sites like Twitter or Facebook. It’s still changing to this day, so fast that it’s becoming increasingly difficult to keep track. In this article, let’s talk about Twitter and relate how it integrates into the whole social media for business narrative. Priding itself with over 313 million monthly users and various functionalities, Twitter is among the best of social media platforms. Proudly diverse from its competitors, it easily goes head to head with some of the biggest social networks like Instagram or Facebook. Built on an original idea, it features online news and social networking service on which users interact with messages known as tweets. These can be formatted with any link, picture or video and spread to people who are subscribed to you. They can read, reply and easily share tweets with their own audience, called retweeting. Thanks to this, information can spread fast, giving users a unique way to reach a lot of people. How is this in any way important to a business? Its benefits to business growth are tremulous, whether your goals is to educate customers about your product or service, reaching a new audience or promoting your brand. Twitter you get access to the relevant conversations that are happening and gives you the possibility to jump in at any time. You can drive engagement with your promotional activities, interact with people outside of your personal network and discover new opportunities. Hence, start using Twitter to join and start discussions with influencers and industry experts will raise your profile and build valuable connections. Twitter is great for increasing brand awareness and overall social buzz by regularly communicating with your followers and attracting new ones. Extend your reach even further with Twitter Ads, a targeted approach for those looking to maximize the audience they reach. There’s even an integrated customer service model that lets you respond quickly to your users! In turn, this will help you develop a good reputation and strong relationships with customers, wherever they might be. Growing your user base on Twitter, it takes more than just tweeting. It’s about engaging with your target audience and interacting with them. Mastering business marketing, that’s where the opportunities lie. Twitter can be used for any number of business purposes, offering proven ways of building your presence and connecting with other people towards achieving your goals. This is your chance to tell the others your business story. Ready up yourself, build your profile and be ready to show your presence to people. Every niche has an already established community, all you have to do is to discover it. Even more, try establishing your reputation as an active and helpful contributor to your niche. Using tools such as Follower Wonk, Twellow can help you find the people of similar interest and industry. 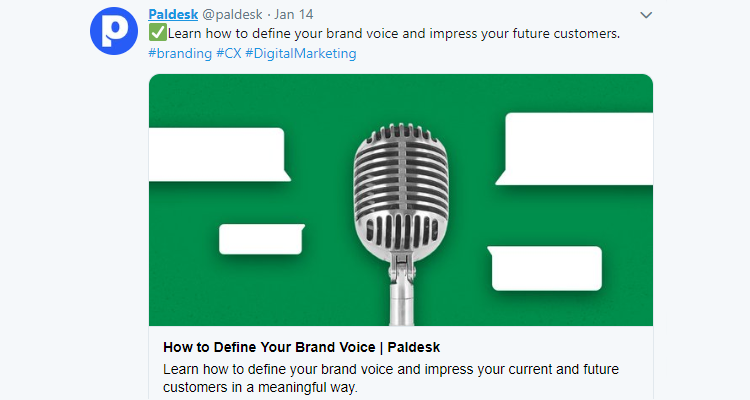 Others, like Paldesk, can help you manage all your Twitter messages from a single dashboard – making it easy to navigate your messages. Once you find your targeted audience, don’t just tweet at them, tweet with them. Follow their conversations and jump in order to add your value. 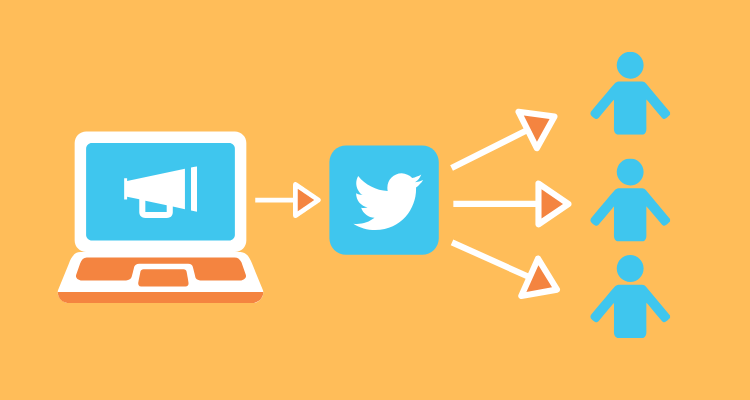 Be careful not to set your Twitter feed on autopilot and constantly push promotional content. It is all about relationships and building trust. The goal is to get to know who your people are, connect with them and bond your interests for the promotion of your content. As a result, you’ll gain both valuable customers and insights. There’s a lot of space for creativity here, as continuity in posting will allow you to scale your brand accordingly. Give yourself a little time to get your feet wet. Listen to others and wait for the ideal opportunity. Answer user questions, be remarkable and be a valued member of the community. Writing on a Twitter is an art. With the new 160 characters limit, you gain a bit more freedom to get your message across. Practice your lines; align them with your community and brand voice. You want people to read your tweets and feel natural about retweeting them. Even more so, they need to feel the honesty of your message. If your primary goal is a sales pitch, then Twitter just might not be the place for you. Putting strong values on easily readable, relevant and unique posts it’s every brand’s job to find a unique way to approach and strengthen their online relationships. Let’s explore some ways of making sure your tweets are relevant and interesting to your audience. Find your headlines, and don’t forget the power of a good visual. If you can express something using a picture, do it. Add videos and vines – be creative in your storytelling. Keywords have always been the driving force of the web content. Find your list that describes your field and use them in your posts. Think quality over quantity! Make every last one of those 160 characters count, but be careful not to overstuff on keywords. Add useful links to your tweets. Try to provide the best of your content that keeps people interested. Don’t focus on promoting your product, but the knowledge that stands behind it. People will acknowledge what you are offering and interact with your brand naturally. Company credibility is built on trustworthiness. Be honest to your community, if you mess up there’s no point in ignoring or hiding it. Admitting your mistakes and shortcomings makes for an honest interaction. Honesty won’t be judged as harshly. Hashtags ensure that your content is being seen by as many followers as possible. They enable you to classify content so that your tweets are grouped with other relevant content. This helps other Twitter users find your content easily, just as it can help you find influencers and others in your industry. The art and science of using hashtags have evolved substantially in the past few years, making its way to many popular social platforms. It’s wise to get up to speed regarding the latest and most popular trends regarding the use of hashtags. Analyze your competition to find detailed information in their tweets, mentions, hashtags, followers, and more. Find trending topics through content, hashtags, search terms, sources, and more. Your social media strategy may be great, but there are times when it makes sense to supplement your organic efforts with paid advertising to achieve certain objectives. Depending on the specific goal you’re working toward, Twitter allows you to promote individual tweets, your account or even a trend. Offering a simple way to reach further and connect more, ads can be your greatest asset. If you’re looking for a comprehensive way to further develop your business strategy, you’ve just found it. 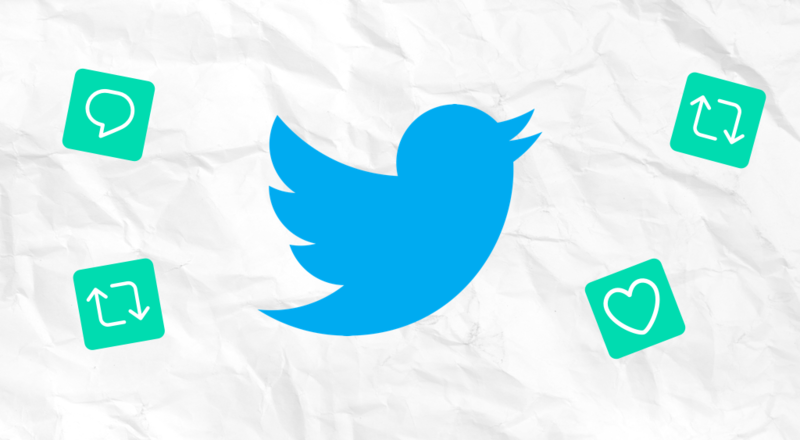 When you’re ready to get started, check out the complete guide to Twitter Ads. Twitter is one of the biggest social media platforms has the possibility to greatly improve your brand visibility and overall exposure. It’s also a great place for reaching out to the community, thereby connecting your business and customer in a meaningful way. It also requires certain sensibility when approaching and writing posts. Furthermore, it’s important to pay attention to a variety of things when writing and engaging on Twitter. This enables you to develop a certain kind of brand voice. Be sure to project confidence and be honest in your approach while communicating! There’s a lot of tools that can help you with this mission, from planning your posts to analyzing your competition. If you’re really dedicated to approaching in a professional manner, you can always try Twitter Ads. They provide a number of different ways to reach a targeted audience and make a great supplement to an already great organic presence.